(CRT) is an instrument that showed that there was an invisible force, electrons, that exist in our world and this 2:26 minute video shows how and who discovered it and how it could be used. This Signing Time Videos is made for babies and toddlers to learn sign language. My toddler learned how to sign through these videos way before he could talk which made it possible for him to communicate rather then throw tantrums. In this video you learn how to count through these hand signs. Run time 0:31. Dit is een zoekopdracht op internet. 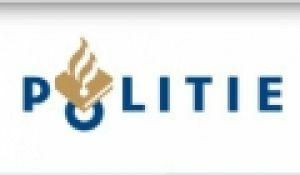 De leerlingen bezoeken de website van de politie en zoeken informatie op over de vermiste personen. Dit past binnen het thema lichaams- en persoonsbeschrijving. This is the official Video of the song They Don't Care About Us (Prison Version) by Michael Jackson dealing with the controversial issue of discrimination. Computer Basics : What Is ISO? ISO, or the International Standards Organization, sets the standards for computer file formats related to images and files. Archive files onto a CD or optical disk as an ISO image with help from a certified computer technician in this free video on computers. A short video about ground water from where it comes from and how it is pumped. Good detail about the importance of this source of water. This would be a video to show in combination with videos on the water cycle. Run time 04:41. The identities people assume, and the relative importance they attach to them, change over time because of both personal change in their lives and change in the external world (for example, as a result of changing ideas about disability). Consequently, identity should not be seen as something ‘fixed’ within people. Past and present tense can get tricky with conditionals.